In this passage, Lord Krishna speaks to us about the ancient teaching from India of the "avatara": the descent of God into human form in response to the needs of humankind. While Hinduism and Christianity view their respective avatars as "actual" incarnations of God, the more nuanced teaching as elucidated by Paramhansa Yogananda is that the "saviour" ("Avatar") is a soul like you and me with but one difference: the avatar has, in a prior life, achieved oneness with God and worked out all past karma. Thus, the avatar returns to human form solely for the sake of helping souls still in delusion. The avatar's prior dissolution of ego consciousness implies that the ego has merged wholly into soul consciousness and, from there, has become "one with God." Thus Jesus Christ could declare, "I and my Father are One!" The distinction, then, between saying "God has incarnated in human form" and "Another soul, like me, has achieved God-realization" is, in fact, not great so far as the avatar's state of consciousness is concerned. But it IS important so far as WE are concerned because this truth affirms or reminds us that WE can also achieve that state! By contrast, if God simply "incarnates Himself" into human form, as a special divine creation, it tells us that we are inherently separate from God. No difference for God who is omnipresent, but a big obstacle for us who are not yet omnipresent! This is, in fact, the "good news" which God sends to humankind through those who "have seen Him." But for the promise of immortality represented in this "good news," only those with "eyes to see and ears to hear" can see and hear this good news. God does not interfere with the karma and desires of those souls whom He has created. Only those who are ready to remember their soul's immortality hear the news. Of course, "many turned away" as the New Testament said of the life of Jesus towards the end of his ministry for they could not fathom his radical call to sonship in God (especially when he spoke of "eating my flesh" and "drinking my blood!"). 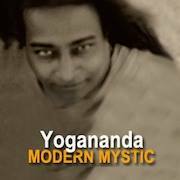 In Yogananda's life, too, Swami Kriyananda said that it was like a hotel at the headquarters at Mt. Washington in Los Angeles: "people checking in and out." They did not recognize the spiritual stature and promise of Yogananda who, evidently, did not live up to their expectations! Even during Yogananda's "barnstorming days" around America when thousands would line up to hear him speak, only a few remained after the novelty of this popular motivational speaker from India had been satisfied. Much more could be said on the nature of the soul and the saviour, but I would like to go back to the quote from the Bhagavad Gita above. What does Krishna mean when he says he comes "to destroy evil?" Swami Kriyananda in his landmark book, Essence of the Bhagavad Gita, points out that Krishna does NOT say he will destroy EVILDOERS! He takes aim at EVIL itself. Destroying "evil" and "re-establishing virtue" is a reference to consciousness. This means, then, that the avatar's purpose is to uplift human consciousness. This takes place on two planes: that of the individual souls (presumably disciples from past lives) and that of humanity at large. In looking back over history, we can see that the avatar must address the realities and needs of those specific places and cultures into which he/she is born. Yet, over time, the avatar's influence expands worldwide as in the case of Buddha, Jesus, Krishna, and now we see also in respect to Yogananda, to name a few. The power of such a descent, a "purna avatar," lingers for centuries, even millennia! But the medium through which this power spreads and continues over time is the "avatara" that occurs in the hearts and minds of those who are awakened. As the avatar's consciousness is that of God consciousness and as the disciple seeks to attune to God consciousness, we, too, can see ourselves, in a sense, as part of the avatara. Thus our life's purpose includes helping to help uplift humanity, on a scale appropriate to our own lives. While we devotees naturally focus on the "virtue" element of the avatar's mission, I'd like to consider the evil-destroying element. Yogananda said that in a past life he was William the Conqueror. And after that lifetime he said he was a king in Spain (probably Ferdinand III). It is, admittedly, difficult to overlay what we know of the lives of these men with the concept of an avatar. But, whatever the case may be historically or otherwise, it suggests some aspects of the evil-destroying purpose of their incarnation. Stories of the life of Krishna are filled with episodes where he destroys this or that demon (incarnations of evil). We, too, have our demons. Attunement to the avatar means we, too, should do our best to destroy our bad habits or ignorance. In the lives of Mahatma Gandhi and Rev. Martin Luther King, Jr we see two great souls battling the demons of injustice and social evils. I don't hold them out as avatars but as souls who took up the avatar's sword for themselves. Gandhi took kriya initiation from Yogananda and King considered himself a disciple of Gandhi. Gandhi had a special love for Lord Rama, and King, for Jesus Christ. Both Rama and Jesus are considered avatars. While history celebrates their social justice accomplishments, they were candid about their own inner struggles as well. Thus they stand as excellent examples of the avatara "destroying evil." In yoga, we speak frequently about the importance of being centered in the spine (both physical and astral spine) The spine is a symbol of strength, self-discipline, and one-pointed upward focus. While spirituality as expressed in these times and as emphasized by Yogananda is focused on the positive, life-affirming results and process of spiritual growth, he also made it clear to his close disciples of the need for self-discipline and ego transcendence. Swami Kriyananda would sometimes counsel us saying, "Be a little stern with yourself." He told the story of how one evening, sick of the little prancing prince of the ego, he cried out in meditation, commanding his ego, "GET OUT!" Later, walking outside in the dark he came upon Yogananda. Kneeling before him, Yogananda said quietly to Kriyananda, "Very good." But as a caveat: just be sure you direct your self-discipline towards yourself, not others! Your efforts are between you and your soul. Practice "titiksha": disciplining your senses in regard to sensations such as heat or cold; or the likes and dislikes of flavours; or the opinions (perceived or actual) of others; of your own opinions. By practising on little things we prepare ourselves to hold in check the ego's preening on the stage of your life. Receptivity to the avatar should include both sides of the equation for spiritual growth: ego transcendence and the transforming power of unconditional love and joy. Our soul's journey is necessarily unique and individual. It's expression, therefore, must remain true to your Self. But one thing common to all of us, because we are united by God, is found in one of the greatest treasures of the journey: the gift of true friendship. Friends-in-God are those who act as soul-mirrors to one another. The company you keep, both inwardly and outwardly, determine to a great extent the direction of your attention: whether upward toward God, or, downward toward ego and the senses. Let us remember that the purpose of the "descent" is to enable us to rise. "Rise O My Soul in Freedom."